Violating OK parking laws can lead to parking tickets, towing of your vehicle, and more. Understanding the consequences for violations of Oklahoma parking laws can help you avoid a costly ticket. 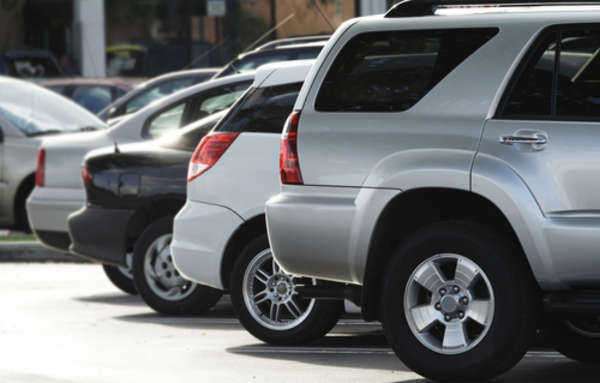 This guide will give you a basic overview of some commonly violated OK parking laws and the consequences you can expect. You'll also learn why it may be difficult to fight a ticket for a violation of Oklahoma parking laws. If you need more in-depth information about OK parking laws, you may want to talk to an attorney who defends clients against traffic tickets. One of the most expensive OK parking laws to violate is the state's disabled parking law. Disabled parking spots are mandated by the Americans with Disabilities Act, and as of 2010, Oklahoma parking laws require a minimum of a $500 fine for anyone caught parking in one of these spaces without a disabled license plate or window hanging tag. It is also a violation of OK parking laws for a person to park in a disabled spot, even with a disabled license plate, if the disabled person is not actually present in the vehicle. You may face fines according to Oklahoma parking laws for doing this. If the disabled person knew you were abusing the disabled parking permit, their permit may be taken away permanently. The most common reasons that people receive parking tickets are violations of street parking laws, like parking at an expired meter or in front of a fire hydrant. The cost of parking tickets for violating one of these provisions of OK parking laws varies by municipality. In some areas, a violation of Oklahoma parking laws will cost only a few dollars, while in others you can expect a fine of $50 or more. It is important to pay your parking tickets on time. If you refuse to pay after you violate OK parking laws, your fines may increase and include late penalties. Continued failure to pay will result in your ticket going to collections, which can affect your credit score and therefore your ability to secure credit for a mortgage or car loan. If you violate Oklahoma parking laws by parking in a fire or loading zone, you may have your car towed by the municipality or a towing company. Towing and the subsequent impounding of your car can be quite costly, making violating OK parking laws even more expensive. Failure to pay parking tickets may also lead to your car being impounded or immobilized. It is often not cost effective to hire an attorney to defend you from a traffic ticket. Typically, tickets for violations of Oklahoma parking laws are difficult to fight and may cost more in attorney fees than the ticket itself cost. However, if you do choose to fight a parking ticket, many Oklahoma lawyers who accept other traffic ticket defense cases will also defend drivers from non-moving violations. You may also want the services of an attorney if you need to prove that you were not driving your car at the time when the violation of OK parking laws occurred.